Rocsole Ltd, a Finnish Company which specialises in real-time tomography, announces that Equinor Technology Ventures is supporting its pipeline deposition scanning technology for offshore operations. The Finnish company, with offices in Kuopio, Finland and Houston, Texas, provides electrical tomographic industrial process monitoring systems. 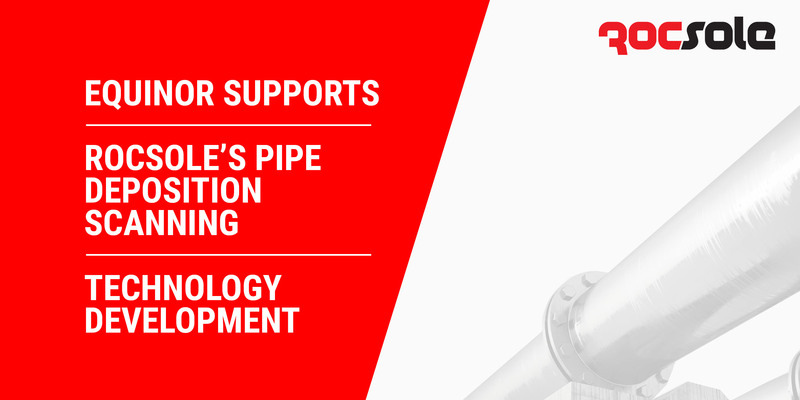 Rocsole’s current products include a PIPE sensor, providing real-time information on the flow and, in particular, deposition buildup in a pipe through a PROBE sensor technology which can be used in separators when extracting oil and water. The portfolio has been expanded to a scanning technology – a moving inspection device that scans the whole pipeline’s deposit thickness and type. With detailed information on pipe deposits, operators can prevent pipes clogging that can lead to lost production costing millions of dollars in down time and from the use of chemicals to clean the blocked pipe. Efficient deposition monitoring can also significantly reduce the number of pigging runs thereby reducing the overall cost of remediation. Rocsole’s tomographic imaging techniques means that measurements can be conducted from inside the actual pipe without damaging or disturbing it. This is the third joining of an international Oil and Gas company to Rocsole. The Spanish oil company Repsol led a fund raising round in early 2016 followed by Shell Technology Ventures joining late 2016.